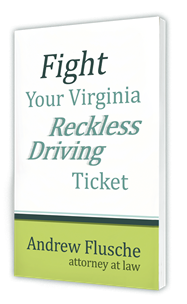 If you’re charged with driving on a suspended license in Virginia, your attorney must obtain certified records for any prior convictions for driving on a suspended license. This can be vital in minimizing or even eliminating the jail time you might receive in your case. REQUIRED NOTICE FROM THE VIRGINIA STATE BAR: ALL CASES WILL DEPEND UPON THE SPECIFIC FACTS AND CIRCUMSTANCES OF EACH CASE. PAST CASES DO NOT INDICATE FUTURE OUTCOMES. Anytime I’m representing a client for driving on suspended, we make it a top priority to obtain certified records from the courts to look for any prior offenses for driving on a suspended license. We do this because in some cases the records are flat out wrong. The prosecutor, and many attorneys, sadly, rely on Virginia DMV records to prove prior convictions in driving on suspended cases. They say “well, the driving records show a driving on suspended from this court on this day, so that must be what happened.” Nothing could be further from the truth. The way a driving on suspended prior works is that the judge writes out the outcome on a piece of paper in court. Then the clerk’s office types in that outcome into their computer system. Finally, DMV obtains their records electronically from the court’s computer system. Sometimes the clerks incorrectly key into the computer what the judge did. Then the DMV record is going to be wrong. The clerks are wonderful people, but human error does occur. In a recent case I had, my client was charged with driving on suspended, and the records showed a prior offense. As we normally do, we obtained a certified copy of the prior offense so I can investigate it and see if all the paperwork was in order. This is the best way for me to determine if we had any arguments about whether or not that offense could count against my client. As you can see in the image below, in this case, the law or code section for the offense wasn’t entered on the ticket. The ticket only said what you see in the image. It just said “driving while suspended”. Well, what does that mean? That’s the argument that I used with the prosecutor. It says “driving while suspended” and could mean many different code sections. It could be a city code or a county code. It could be another type of driving on suspended, and it doesn’t necessarily mean that the conviction was under 46.2-301. This particular argument might be one of the weaker ones to be able to use, but it’s what we had in the case to try to minimize jail time, and it worked. Because the Commonwealth saw that there was a possible issue that they might not be able to prove the prior offense, the jail time was then minimized in this case. 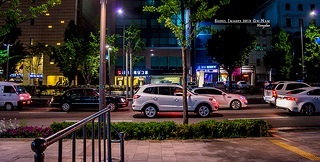 It minimized damage to the client, and helped her get on with her life. As you can see, if we had not requested the prior offense from the court, we would have no way of seeing this issue and being able to argue that the Commonwealth should reduce the jail time. In this case, the client was facing mandatory minimum ten days in jail. Without that prior document, most likely the client would have been sent to jail for ten days. If you’re faced with driving on a suspended license, call me today so we can discuss the specifics of your case and analyze what defenses you might have. Once you hire me we can get started with requesting those prior records from the court so we can see if you have a defense like this one.